Supreme Court nominee Brett Kavanaugh will not return to teach at Harvard Law School, according to Harvard University's newspaper. The Harvard Crimson reported Monday that Catherine Claypoole, an associate dean representing the law school's curriculum committee, sent an email to students Thursday evening letting them know Kavanaugh would not be back this winter to teach a class. 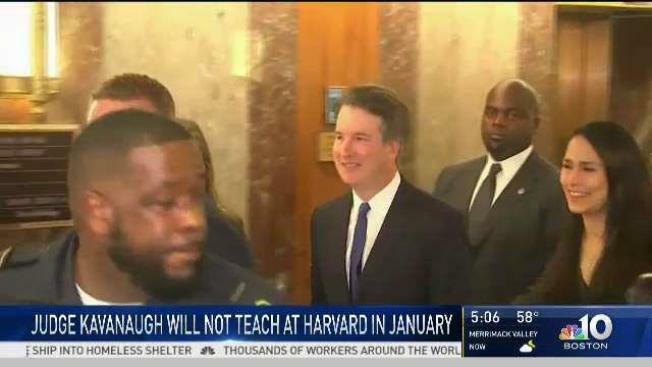 "Today, Judge Kavanaugh indicated that he can no longer commit to teaching his course in January Term 2019, so the course will not be offered," Claypoole wrote, according to the Crimson. Hundreds of Harvard Law students walked out of class last Monday in protest of the possibility that Kavanaugh might return. 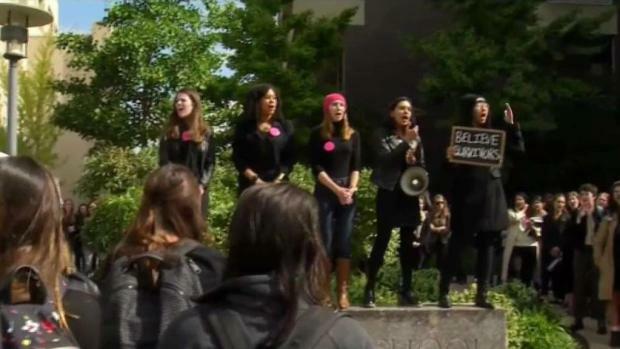 Protesters across the country, including at Harvard Law School, are trying to make their voices heard regarding Supreme Court nominee Brett Kavanaugh. Kavanaugh and Christine Blasey Ford, who accused him of sexual assault, testified before the Senate Thursday. Friday, Sen. Jeff Flake pushed for an FBI investigation, which is underway.